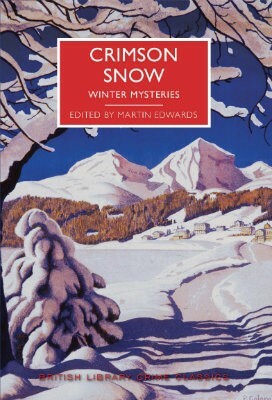 This entry was posted in Books and tagged British Library Crime Classics, Christopher Bush, Crimson Snow, Edgar Wallace, Fergus Hume, Ianthe Jerrold, Josephine Bell, Julian Symons, Macdonald Hastings, Margery Allingham, Martin Edwards, Michael Gilbert, S.C. Roberts, short stories, Victor Gunn, vintage crime by Katrina. Bookmark the permalink. I don’t always enjoy vintage short stories, but I may try this book. That novella sounds interesting. I agree that I like to know the date of original publication for short stories (and where first published too). I think in general I prefer getting stuck into a nice long book, but short stories are good for bedtime reading I suppose. I hope you enjoy it if you get around to reading it. I have been saving this to read once the weather got cooler, I was just thinking it was time to pull it off the shelf. It’s freezing here now although we don’t have snow so it’s definitely time for Christmas and winter themed stories. I’m hoping they’ll get me into the mood for Christmas minus murder! I *thought* the name of Victor Gunn was familiar to me, because my mother used to enjoy his works, and looking further I see the author (Edwy Searles Brooks) also wrote under the name of Berkeley Gray which explains it: as Berkeley Gray he was the author of the “Norman Conquest” books which I love and have collected all I can find. They are a rollicking light-hearted read. Must say I’d forgotten about Victor Gunn, will keep an eye out for those too. Sorry the Dornford Yates books have vanished from the face of the earth. Isn’t that often the way? I wish I knew what had happened to my father’s books as I’m sure he was a Gunn reader. Now I’ll need to search out Berkeley Gray books too! I know that if I stop searching for Dornford Yates – he’ll begin to throw himself at me again!